Dave Lippman’s new CD may have the most songs ever totaling less than 48 1/2 minutes. At 19 tunes, they average a brisk 2 1/2 minutes per song, with five of them under two minutes. But Lippman packs a lot into each one. There seems to be as many song styles as there are songs, from jazz to folk, country to swing. Just six are totally original, with the rest being original lyrics sung to well-known classics. He comments hilariously and rapidly on many more issues, sometimes several in one song. The opening tune, a rockin’ jazzy number, “Hands Up, Don’t Shoot,” is the most poignant, as he sings tribute to the fallen victims of police violence. while pleading for justice. Dave Lippman as George Shrub, the singing CIA agent. “Whistleblowers’ Blues” is one of my favorites, and a rare five minute tune. It’s a remake of Johnny Cash’s “Folsom Prison Blues,” and Lippman shows he’s got some range, hitting those low notes very well. With the song, he goes through a litany of the great American whistleblowers, from Serpico in New York and Daniel Ellsberg in the Vietnam era to Chelsea Manning and Edward Snowden, praising them for exposing lies and corruption and keeping Americans informed. 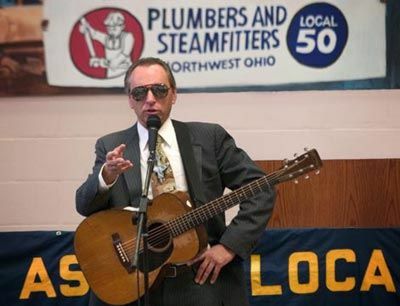 Dave Lippman has been gaining notoriety since 1969, singing political humor/activist, topical songs. After having a song recorded by Country Joe MacDonald, Lippman joined with a San Francisco comedy group to create the “Reagan for Shah Campaign,” in which he introduced George Shrub, the Singing CIA Agent. Dave Lippman as Wild Bill Bailout, the Bard of the Bankers. Other characters Lippman has created include George Stump, Moderate Clearcutter (with — or actually, against — Earth First!) and Wild Bill Bailout, the Bard of the Bankers. 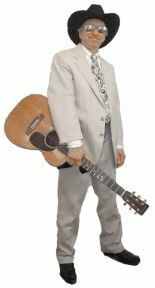 Songs and videos may be found at davelippman.com, where you can also order CDs and find a tour schedule. The calendar says he will be performing July 25-28 in Philadelphia, at the “unDemocratic CONvention,” although it does not state where that will be held. 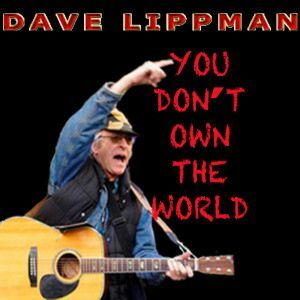 Dave Lippman has recorded 14 albums including this one, constantly touring all over the world, inspiring activists and counter-cultural types everywhere he goes. I highly recommend checking out the CDs on his website, and you’d do well to attend a concert if you ever get the chance to catch his remarkable act live! 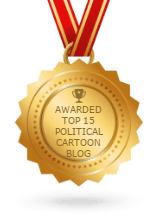 Nah, Bernie Sanders Wouldn’t Run on a Third Party Ticket! … Would He?